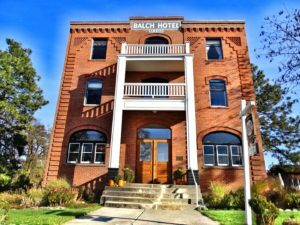 Our office is located at Bliss at the Balch Spa at the Balch Hotel in Dufur Oregon. In addition to counseling, issue-specific spa treatments, along with private and group retreats are offered in our petite temple treatment room and boutique historic inn. Directions below, or you can find us online. Get in touch below and we'll get back to you as soon as we can. We look forward to hearing from you!